Joy M. Mercer advises employers with respect to their retirement and welfare benefit plans and executive compensation programs. Her practice focuses on advising companies on establishing and maintaining benefit programs, including compliance with ERISA and the Internal Revenue Code. Joy counsels employers concerning the design, drafting, and administration of defined contribution and defined benefit retirement plans, both qualified and non-qualified, as well as all types of employee welfare plans and executive compensation programs. Joy focuses on the fiduciary responsibilities under ERISA that parties who offer or provide services to plans have to the plans and their beneficiaries. Joy�s practice includes representing clients before the Internal Revenue Service, the Department of Labor and the Pension Benefit Guaranty Corporation in both government audits and voluntary submissions. Joy also advises clients on the benefits issues that arise in connection with business transactions. Joy has been recognized as one of the Best Lawyers in America, New Jersey�s Super Lawyers, New Jersey�s Top 100 Lawyers, New Jersey�s Top 50 Women, New York Area's Top Lawyers, as well as other distinctions for her Employee Benefits practice. Joy M. Mercer, P.C. was selected as the top Employment and Employee Benefits solo firm in New Jersey by Super Lawyers 2011 - 2013 and the Firm as featured in the Super Lawyer's Business Edition in 2011. Joy is a fellow and was a member of the Board of Governors of the American College of Employee Benefits Counsel (2008-2014). Joy was Chair of the Section of Taxation, New Jersey State Bar Association (1995-1996) and has been a member of the Executive Council for the Section for many years. Joy has also chaired the Employee Benefits Committee of the Section of Taxation, New Jersey State Bar Association. Joy is a past Chair of the Closely Held Business Committee, Section of Taxation, American Bar Association, and is an active member of the Employee Benefits Committee of the Section of Taxation, American Bar Association. Joy is past chair of the Self Correction, Determination Letters and other Administrative Practices Subcommittee for the ABA Section of Taxation�s Employee Benefits Committee. Joy is a former vice chair of the Qualified Plans Subcommittee, Employee Benefit Plans Committee of the Real Property, Trust and Estate Law Section of the ABA. 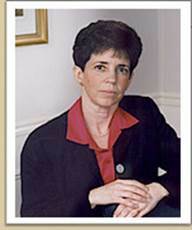 She has been a member of the board of editors of the Journal of Business Entity Taxation. Joy is of counsel to Palmieri & Eisenberg, a premier employee benefits firm, which offers broader expertise in employee benefits matters, including the Affordable Care Act and other health and welfare benefit issues, employee stock ownership plans and other equity based benefits, and other benefits issues. Joy is a frequent lecturer for the American Bar Association, New Jersey Institute of Continuing Legal Education, and the ABA's Joint Committee of Employee Benefits, as well as other professional organizations.